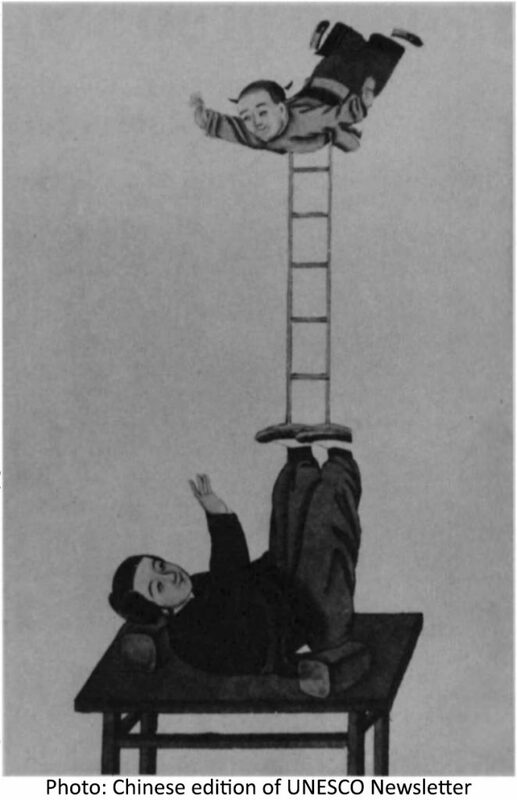 Antipodism is the practice of juggling with the feet while reclining on the back with the legs raised upwards. It is usually performed on a “trinka” – a special kind of chair, designed for this purpose – though it is unclear when the trinka was first used. 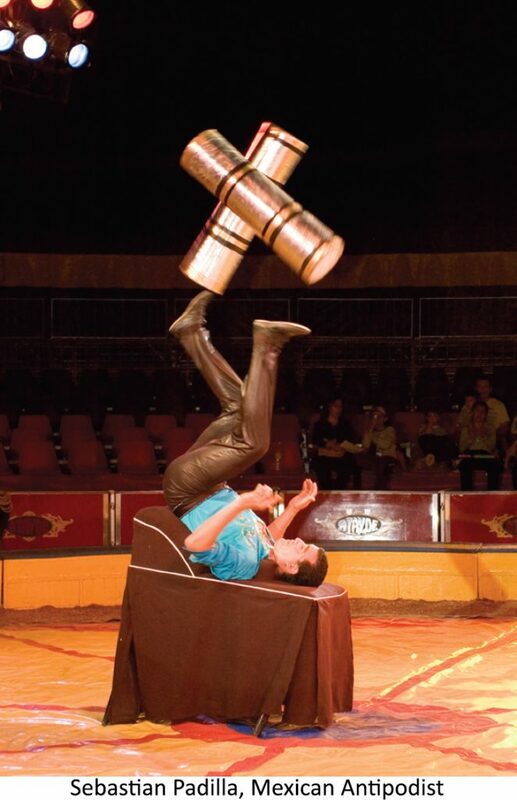 However, the Chinese are not the only culture with an ancient tradition of foot juggling. 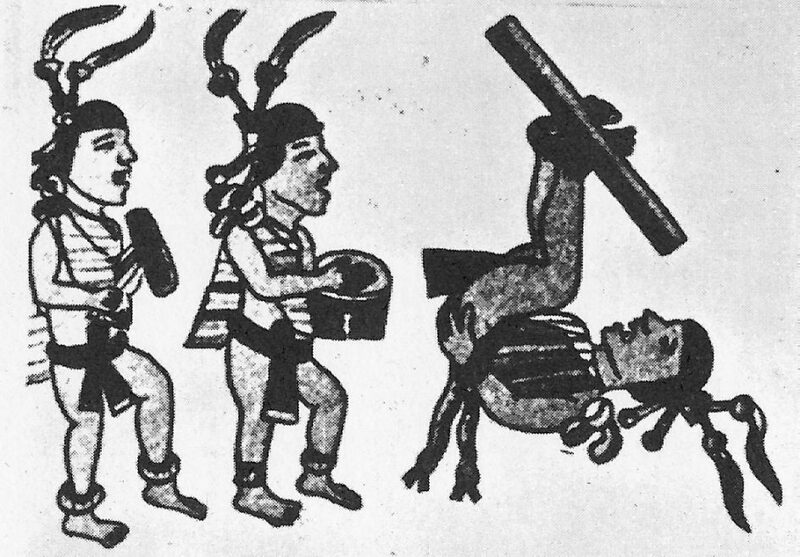 This art was also practiced in pre-colombian Mexico – an ancient ritual called Xocuahpatollin. 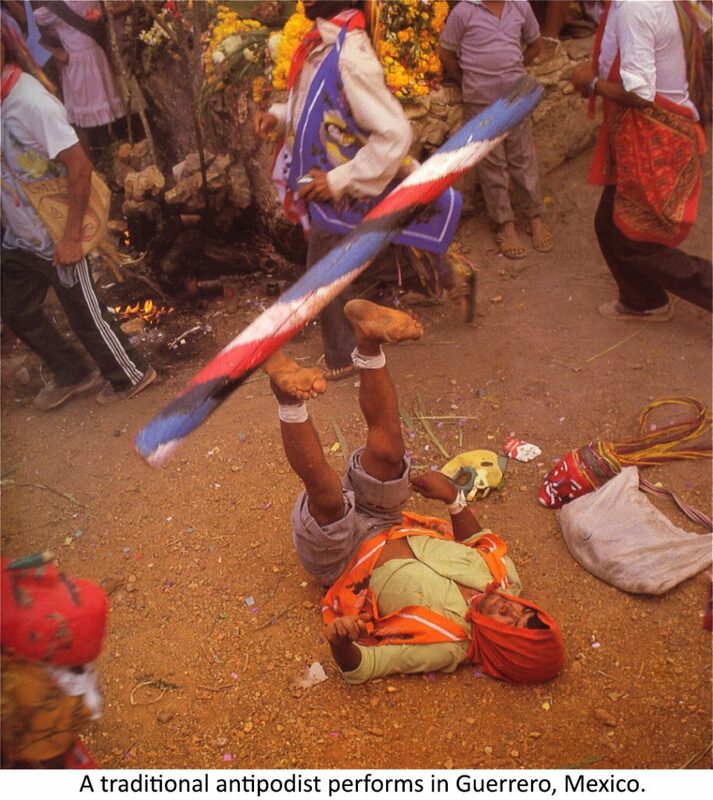 There are communities in Mexico where antipodism can still be seen, performed in the traditional manner. Circus historian Julio Revolledo  says that this ritual practice is one of Mexico’s greatest contributions to the modern circus community. “A dancer lay on the ground on his back and lifted his legs. The large beam made of wood was placed horizontally on his feet. He began rotating it quickly, and stopped its spinning in an instant. Several times, other dancers stood atop the sides of the beam. Again, it was made to gyrate, and the standing men did not fall. – The Song Dynsasty was a dynastic government in China between the years 960 and 1279. It followed the Five Dynasty and Ten King periods, and was followed by the Yuan dynasty. It was the first government in world history that used paper money, and the first Chinese government that established a permanent navy. The first known use of gunpowder happened in this dynasty. This dynasty also discerned true North using a compass. Translator’s note – Julio Revolledo is the director of the traditional circus school of Mexico, located in Puebla, and part of La Universidad Mesoamericana. He has written a number of books about the history of circus in Mexico. 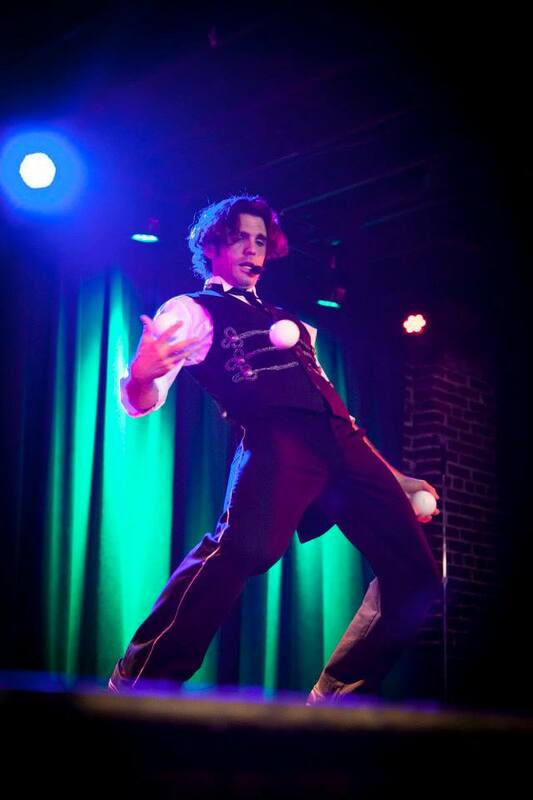 He is also the nephew of world-renowned juggler, Rudy Cardenas.